Chiben Gakuen Senior High School baseball team players mob the field at Hanshin Koshien Stadium in Nishinomiya, Hyogo Prefecture, after their pitcher smacked a walk-off double to win the 88th National High School Baseball Invitational Tournament (commonly known as "Senbatsu") on March 31, 2016. Chiben Gakuen, of Nara Prefecture, had led the squad from Kagawa Prefectural Takamatsu Commercial High School 1-0 for much of the game. But Takamatsu pushed a run across in the 8th inning, knotting the score at 1-1 until the 11th. 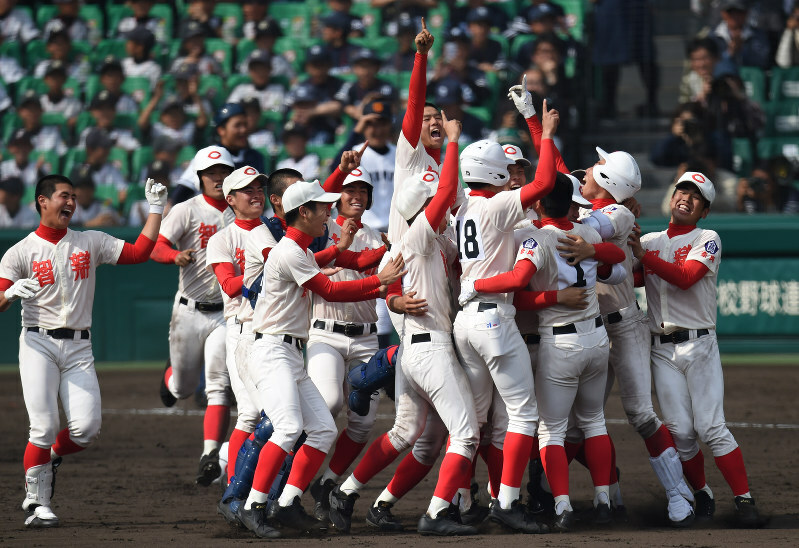 That's when, with a man on first and two out, Chiben hurler Shoki Murakami came to the plate and smashed a long drive over the head of the Takamatsu center fielder, cashing in the winning run.